Five nice (and not-so-nice) ways to get everyone to chip in. 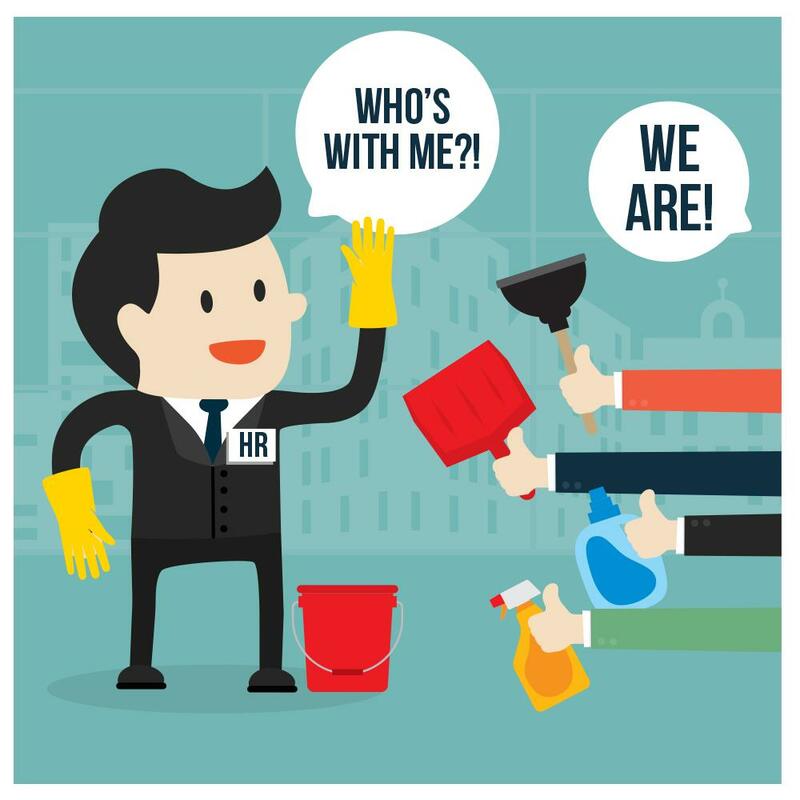 Even if your office has a dedicated cleaning crew, it’s still up to employees to do their part to help keep the office tidy. So how do you get employees to pull their own weight? With National Clean Off Your Desk Day coming up on Monday, Jan. 12, it’s a great time for human resources and managers to look at how they can get everyone involved in keeping the office clean. Here are some tips. APQC is based in Houston, and so before hurricane season, the office goes through its weather readiness process. “The purpose is to ensure everyone remembers the safety precautions and ways to protect their computers/phones/materials, but it’s also a great way to de-clutter and also to ensure all key items are protected and filed away,” White says. If you stock the supply room with cleaning supplies, they’ll be available when people need them. Seeing the supplies can also remind people to tidy up. “Our kitchen has visible cleansing wipes, paper towels and large trash bins for recycle and regular trash. Our bathrooms are also equipped with cleaning supplies and a plunger for immediate cleaning needs,” White says.